By now, you know how I feel about responding to one (or a few) cases with big changes to your system. Now I know that sometimes cases are so extra-ordinary, dramatic, or horrific that something has to be done owing to public pressure, legal issues, or some extenuating circumstances. But, guess what, it turns out that responding to one (or just a few) cases leads to a worsening of your system’s performance. Remember…responding to just one case leads to a worsening of your system’s performance. Don’t believe me? I don’t expect you to! I didn’t believe it either until I learned about statistical process control. I remember a video I watched that really drove this point home for me. And I’ve spent more than 30 hours online looking for a copy of that video to share with you, my healthcare friends, so that you’d share in this revelation with me! Beneath, I’ve shared a link to this incredible video. 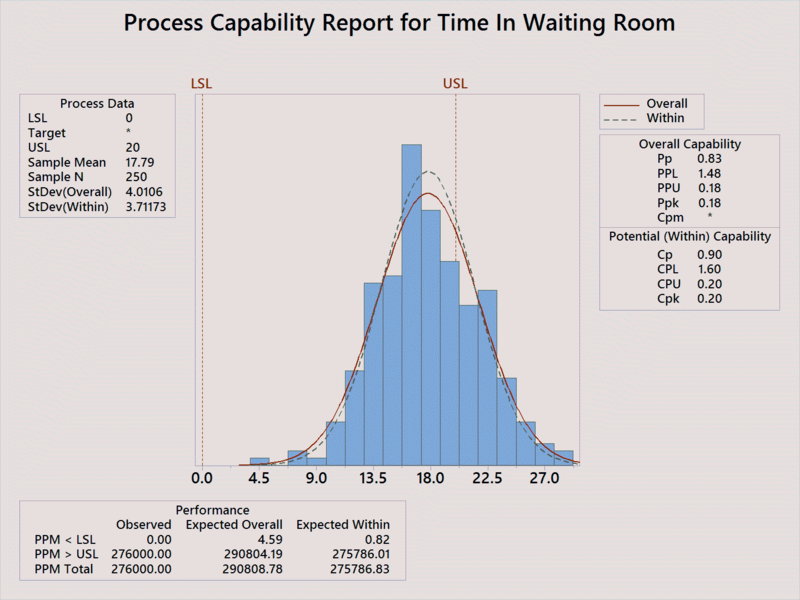 Remember, as you watch, that the process involved could be manufacturing a part, caring for a patient, or arriving on time for a trauma activation…the processes and data involved don’t know (or care) when it comes to using the powerful tools of statistical process control! 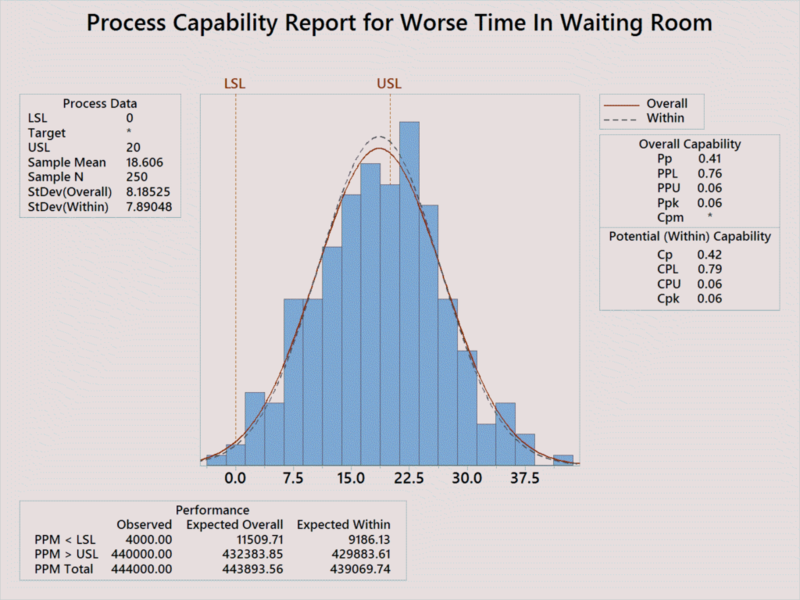 The process involved could be manufacturing a part, caring for a patient, or arriving on time for a trauma activation…the data involved don’t know or care when it comes to using statistical process control! Bottom line…adjusting a system based on one extraordinary case leads to worse outcomes overall. That’s why it’s so important to use the tools of statistical process control and to improve your system as a whole…because doing that will get us much further and will eliminate those extra-ordinary cases in the future. Adjusting based on an attention-getting case will often just make things worse! Of the many barriers we face while trying to improve quality in healthcare, none is perhaps more problematic than the lack of good data. Although everyone seems to love data (I see so much written about healthcare data) it is often very tough to get. And when we do get it, much of the data we get are junk. It’s not easy to make meaningful improvements based on junk data. So, what can we do to get meaningful data for healthcare quality improvement? About ten minutes before kickoff, I had a few questions about the Super Bowl. I was wondering if there was a simple way to gauge the performance of each team and make some meaningful statements about that performance. When we do quality improvement projects, it’s very important to make sure it’s as easy as possible to collect data. I recommend collecting data directly from the process rather than retrospectively or from a data warehouse. Why? For one, I was taught that the more filters the data pass through the more they are cleaned up or otherwise altered. They tend to lose fidelity and a direct representation of the system. Whether you agree or not, my experience has definitely substantiated that teaching. The issue with that is how do I collect data directly from the system? Isn’t that cumbersome? We don’t have staff to collect data (!) Like you, I’ve heard each of those barriers before–and that’s what makes the tricks and tools I’m about to share so useful. So back to me then, sitting on my couch with a plate of wings and a Coke ready to watch the Super Bowl. I wanted data on something that I thought would be meaningful. Remember, this wasn’t a DMAIC project…it was just something to see if I could quickly describe the game in a meaningful way. It would require me to collect data easily and quickly…especially if those wings were going to get eaten. Ok, the next issue was these data had to be very easy for me to get. They needed to be something that I had a reasonable belief would correlate with something important. Hmmm…ok, scoring touchdowns. That’s the whole point of the game after all. Of course, for formal quality projects, we would collect more than just one data point. Additionally, we specify exactly the operational definition of each endpoint. We’d also make a sample size calculation. Here, however, I intended to collect every touchdown and change of possession where a team kicked away on fourth down or went for it but didn’t make it. So this wasn’t a sample of those moments. It was going to be all of them. Of course, they don’t happen that often. That was a big help here, because they can also be anticipated. That was all very important so I could eat those wings. Items like interceptions, fumbles, and other turnovers can not be anticipated as easily. They also would make me have to pay attention to where the ball was spotted at the beginning of every down. It was tough enough to pay attention to the spot of the ball for the downs I was going to record. With those rules in mind, I set out to record the field position whenever possession changed. I thought that the position the offense wound up its possession at, over time, might correlate with who won the game. Less overall variance in final position might mean that team had less moments where it under-performed and lost possession nearer to its own endzone. Of course, it could also mean that the team never reached the endzone for a touchdown. In fact, if the offense played the whole game between their opponents 45 and 50 yard line it would have little variation in field position…but also probably wouldn’t score much. Maybe a combination of better field position (higher median field position) and low variation in field position would indicate who won the game. I thought it might. Let’s see if I was right. Figure 1: Example of a continuous data collection sheet. Sounds fancy, but obviously it isn’t. That’s an important tool for you when you go to collect continuous data right from your process: the continuous data collection sheet can be very simple and very easy to use. Really, that was about it. I went through the game watching, like you, the Patriots fall way behind for the first two quarters. After some Lady Gaga halftime show (with drones!) I looked at the data and noticed something interesting. 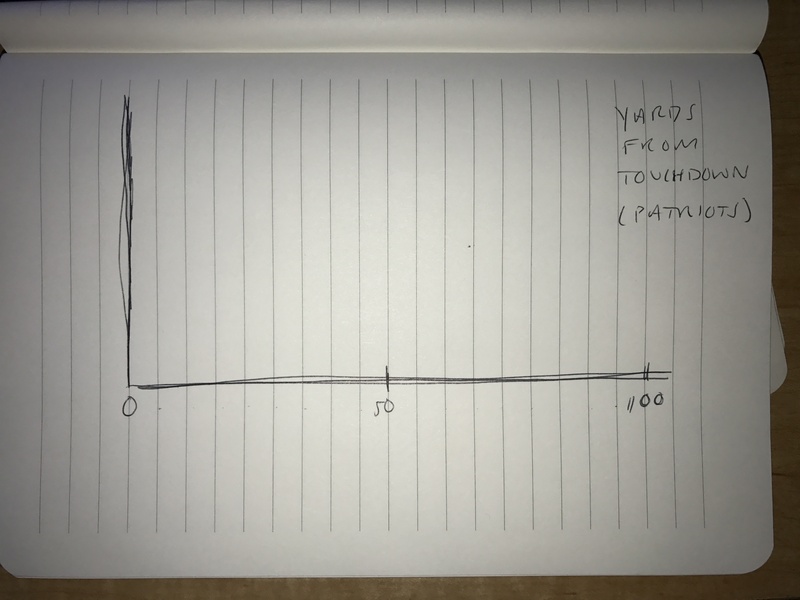 The Patriots data on distance from the endzone seemed to demonstrate less variance than the Falcons. (I’ll show you the actual data collection sheets in a moment.) It was odd. Yes, they were VERY far behind. Yes there had been two costly turnovers that lead to the Falcons opening up a huge lead. But, strangely, in terms of moving the ball and getting closer to the endzone based on their own offense, the Patriots were actually doing better than the Falcons. Three people around me pronounced the Patriots dead and one even said we should change the channel. If you’ve read this blog before, you know that one of the key beliefs it describes is that data is most useful when it can change our minds. These data, at least, made me unsure if the game was over. As you know (no spoiler alert really by now) the game was far from over and the Patriots executed one of the most impressive comebacks (if not the most impressive) in Super Bowl history. Data collected and wings eaten without difficulty! Check and check. Figure 2: Data collection sheet. Patriots offense performance. Figure 3: Data collection sheet. Falcons offense performance. Notice the number in parenthesis next to the distance from the endzone when possession changed? That number is the possession number the team had. So, 52(7) means the Falcons were 52 yards away from the Patriots endzone when they punted the ball on their seventh possession of the game. An entry like 0(10) would mean that the team scored a touchdown (0 yards from opposing team’s endzone) on their tenth possession. Notice that collecting data this way and stacking similar numbers on top of each other makes a histogram over time. That’s what let me see how the variation of the Patriot’s final field position was smaller than the Falcon’s by about halfway through the game. Anything To Learn From The Data Collection? Figure 4: Summary of Patriots offense performance. 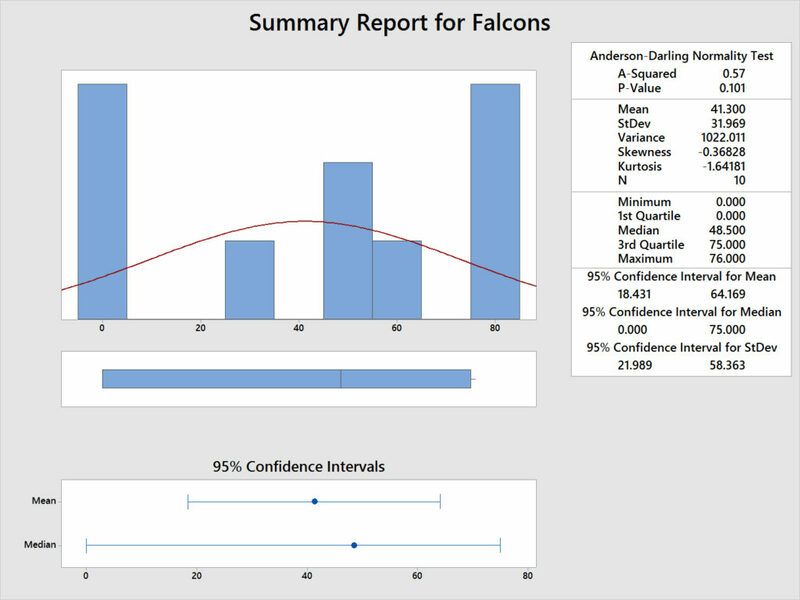 Figure 5: Summary of Falcons offense performance. 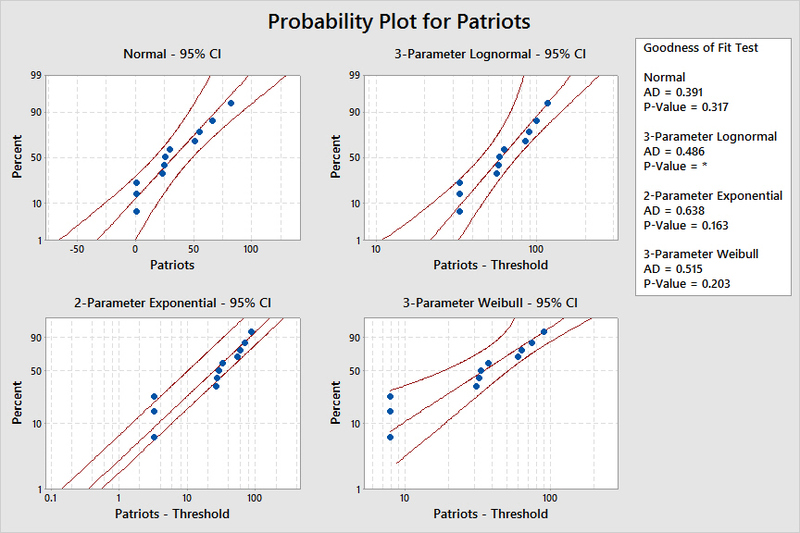 Figure 6: Testing Patriots offense performance to determine whether it deviates substantially from these known distributions. Just as with the initial Anderson-Darling test, we see here that the data do not deviate from many of these other distributions either. Bottom line: we can’t be sure which distribution it follows. Maybe the normal distribution, maybe not. In any event, we are left with some important questions. Notice the variance exhibited by the Patriots offense versus the Falcons offense: this highlights that the Patriots in general were able to move the ball closer to the Falcons endzone by the time the possession changed (remember that turnovers aren’t included). Does that decreased variation correlate with the outcome of every football game? Can it be used to predict outcomes of games? I don’t know…at least not yet. After all, if stopping a team inside their own 10 yard line once or twice was a major factor in predicting who won a game, well, that would be very useful! If data is collected by the league on field position, we could apply this idea to previous games (maybe at half time) and see if it predicts the winner routinely. If it did, we could apply it to future games. 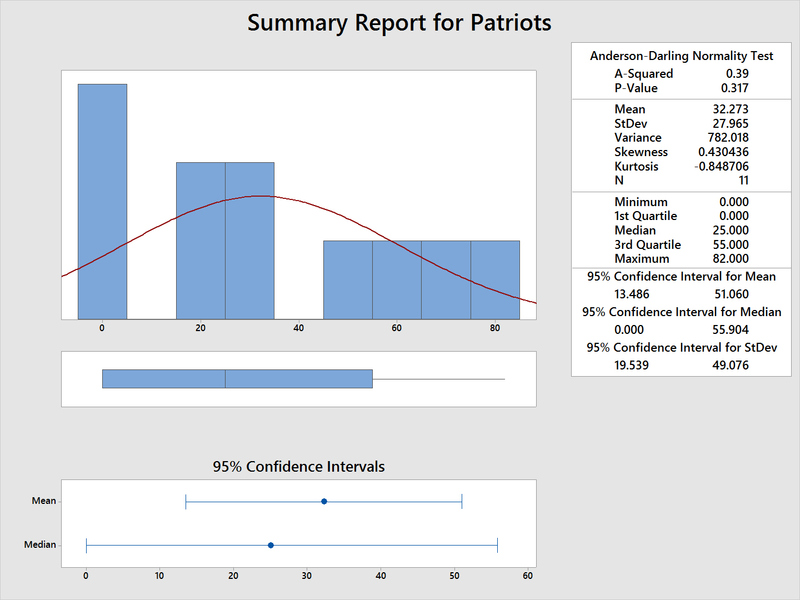 In the case of Super Bowl LI, the Patriots offense demonstrated a better median field position and less variation in overall field position compared to the Falcons. (1) get data right from the process, not a warehouse or after it has been cleaned. (4) when you create a data collection plan, remember the sample size calculation & operational definition! 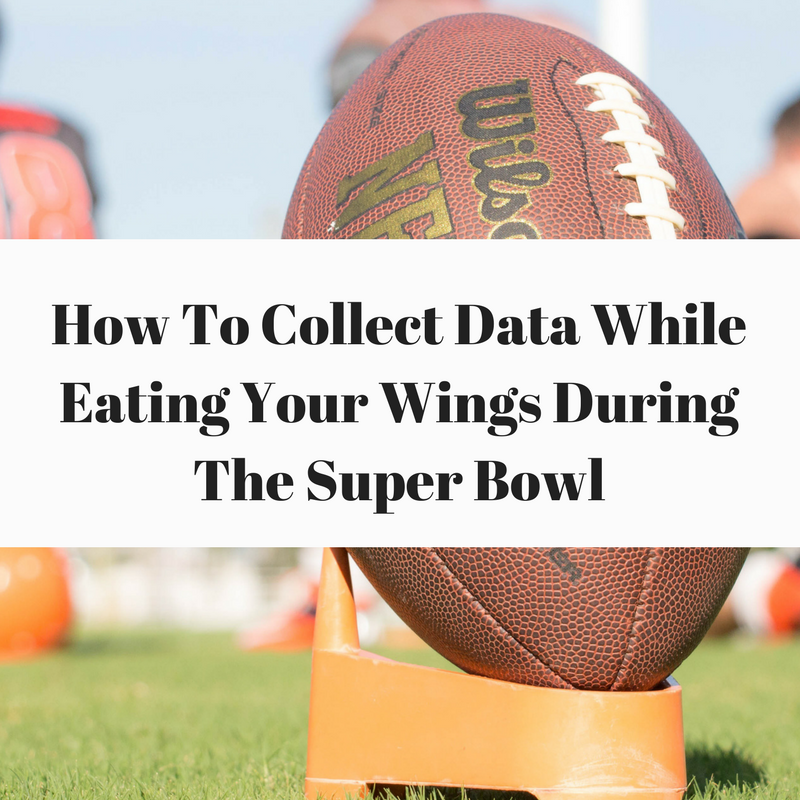 (5) reward those who collect data…maybe with wings! 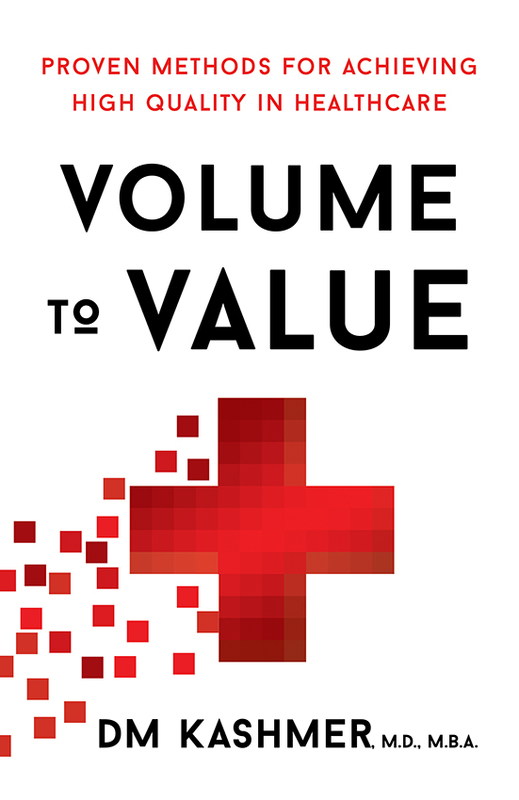 You’ve probably heard the catchphrase “volume to value” to describe the current transition in healthcare. It’s based on the idea that healthcare volume of services should no longer be the focus when it comes to reimbursement and performance. Instead of being reimbursed a fee per service episode (volume of care), healthcare is transitioning toward reimbursement with a focus on value provided by the care given. The Department of Health and Human Services (HHS) has recently called for 50% or more of payments to health systems to be value-based by 2018. Here’s why not: in healthcare, we don’t yet agree on what “value” means. For example, look here. Yeesh, that’s a lot of different definitions of value. We can talk about ways to improve value by decreasing cost of care and increasing value, but we don’t have one clear metric on value (in part) because we don’t yet agree on a definition of what value is. 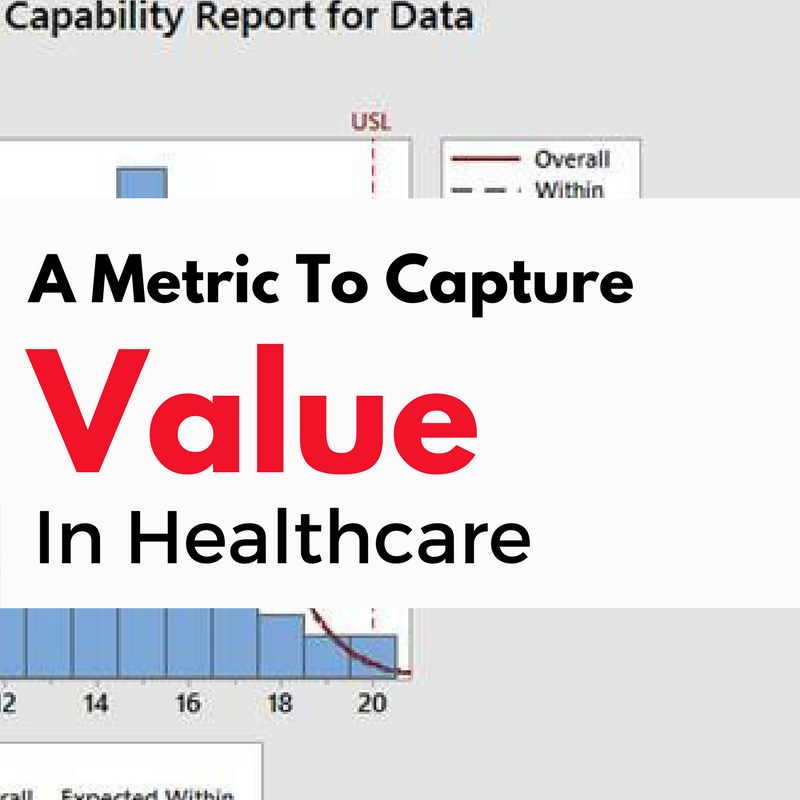 In this entry, I’ll share a straightforward definition of value in healthcare and a straightforward metric to measure that value across services. Like all entries, this one is open for your discussion and consideration. I’m looking for feedback on it. An OVID, Google, and Pubmed search revealed nothing similar to the metric I propose beneath. First, let’s start with a definition of value. Here’s a classic, arguably the classic, from Michael Porter (citation here). (1) Remarkably, we often don’t know how much (exactly) everything costs in healthcare. Amazing, yes, but nonetheless true. With rare exception, most hospitals do not know exactly how much it costs to perform a hip replacement and perform the after-care in the hospital for the patient. The time spent by FTE employees, the equipment used, all of it…nope, they don’t know. There are, of course, exceptions to this. I know of at least one health system that knows how much it costs to perform a hip replacement down to the number and amount of gauze used in the OR. Amazing, but true. (2) We don’t have a standardized way for assessing health outcomes. There are some attempts at this, such as QALYs, but one of the fundamental problems is: how do you express quality in situations where the outcome you’re looking for is different than quality & quantity of life? The QALY measures outcome, in part, in years of life, but how does that make sense for acute diseases like necrotizing soft tissue infections that are very acute (often in patients who won’t be alive many more years whether the disease is addressed or not), or other items to improve like days on the ventilator? It is VERY difficult to come up with a standard to demonstrate outcomes–especially across service lines. (3) The entity that pays is not usually the person receiving the care. This is a huge problem when it comes to measuring value. To illustrate the point: imagine America’s Best Hospital (ABH) where every patient has the best outcome possible. No matter what patient with what condition comes to the ABH, they will have the BEST outcome possible. By every outcome metric, it’s the best! It even spends little to nothing (compared to most centers) to achieve these incredible outcomes. One catch: the staff at ABH is so busy that they just never write anything down. ABH, of course, would likely not be in business for long. Why? Despite these incredible outcomes for patients, ABH would NEVER be re-imbursed. This thought experiment shows that valuable care must somehow include not just the attention to patients (the Voice of the Patient or Voice of the Customer in Lean & Six Sigma parlance), but also to the necessary mechanics required to be reimbursed by the third party payors. I’m not saying whether it’s a good or bad thing…only that it simply is. (1) Capture how well the system it is applied to is working. It would demonstrate the variation in that system. In order to determine “how well” the system is working, it would probably need to incorporate the Voice of the Customer or Voice of the Patient. The VOP/VOC often is the upper or lower specification limit for the system as my Lean Six Sigma and other quality improvement colleagues know. The ability to capture this performance would be key to represent the “health outcomes” portion of the definition. (2) Be applicable across different service lines and perhaps even different hospitals. This requirement is very important for a useful metric. Can we create something that captures outcomes as disparate as time spent waiting in the ER and something like patients who have NOT had a colonoscopy (but should have)? (3) Incorporate cost as an element. This item, also, is required for a useful metric. How can we incorporate cost if, as said earlier, most health systems can’t tell you exactly how much something costs? Yup, that’s it. Take a minute with me to discover the use of this new value metric. First, Cpk is well-known in quality circles as a representation of how capable a system is at delivering a specified output long term. It gives a LOT of useful information in a tight package. The Cpk, in one number, describes the number of defects a process is creating. It incorporates the element of the Voice of the Patient (sometimes called the Voice of the Customer [VOC] as described earlier) and uses that important element to define what values in the system are acceptable and which are not. In essence, the Cpk tells us, clearly, how the system is performing versus specification limits set by the VOC. 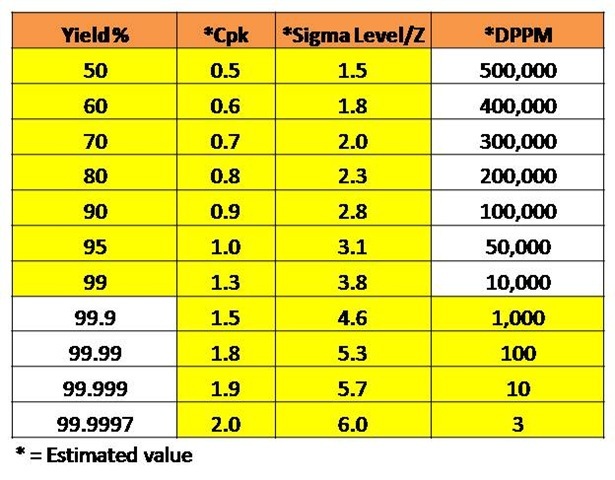 Of course, we could use sigma levels to represent the same concepts. Weaknesses? Yes. For example, some systems follow non-normal data distributions. Box-Cox transformations or other tools could be used in those circumstances. So, for each Healthcare Value Process Index, it would make sense to specify where the VOC came from. Is it a patient-defined endpoint or a third party payor one? That’s it. Not a lot of mess or fuss. That’s because when you say the Cpk is some number, we have a sense of the variation in the process compared to the specification limits of the process. We know how whatever process you are talking about is performing, from systems as different as time spent peeling bananas to others like time spent flying on a plane. Again, healthcare colleagues, here’s the bottom line: there’s a named measure for how well a system represented by continuous data (eg time, length, etc.) is performing. This system works for continuous data endpoints of all sorts. Let’s use what’s out there & not re-invent the wheel! Ok, and now for the denominator of the Healthcare Value Process Index: the Cost of Poor Quality. Remember how I said earlier that health systems often don’t know exactly how much services cost? 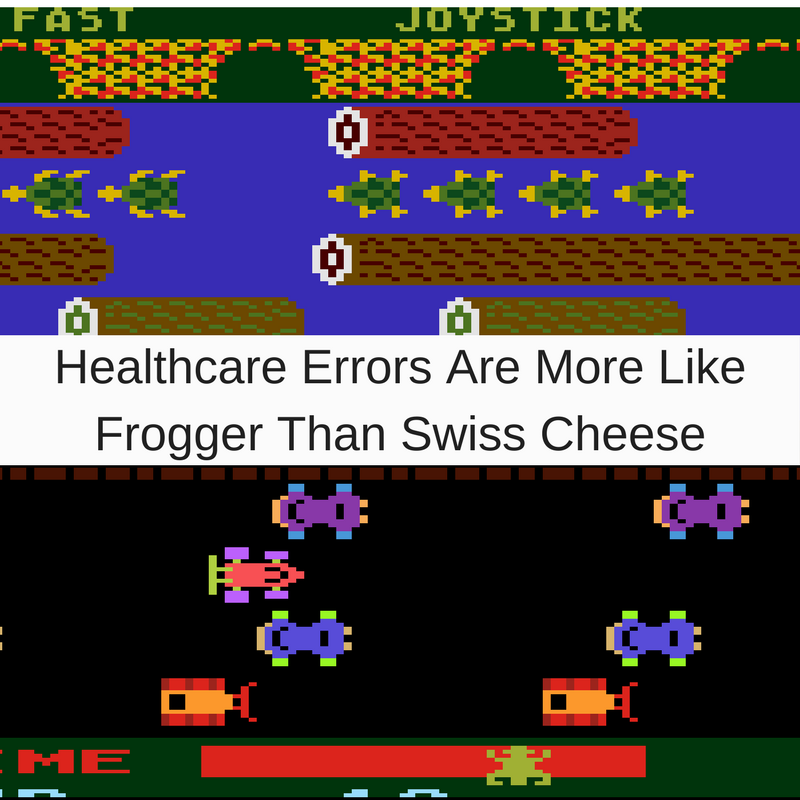 They are often much more able to tell when costs decrease or something changes. In fact, the COPQ captures the Cost of Poor Quality very well according to four buckets. It’s often used in Lean Six Sigma and other quality improvement systems. With a P&L statement, and some time with the Finance team, the amount the healthcare system is spending on a certain system can usually be sorted out. For more info on the COPQ and 4 buckets, take a look at this article for the Healthcare Financial Management Association. The COPQ is much easier to get at than trying to calculate the cost of an entire system. When the COPQ is high, there’s lots of waste as represented by cost. When low, it means there is little waste as quantified by cost to achieve whichever outcome you’re looking at. So, this metric checks all the boxes described earlier for exactly what a good metric for healthcare value would look like. It is applicable across service lines, captures how well the system is working, and represents the cost of the care that’s being rendered in that system. Let’s do an example. Pretend you’re looking at a sample of the times that patients wait in the ER waiting room. The Voice of the Customer says that patients, no matter how not-sick they may seem, shouldn’t have to wait any more than two hours in the waiting room. Ok, that’s a Cpk of approximately 1.3 as per the table above. Now what about the costs? We look at each of the four buckets associated with the Cost of Poor Quality. (Remember those four buckets?) First, the surveillance bucket: an FTE takes 10 minutes of their time every shift to check how long people have been waiting in the waiting room. (In real life, there are probably more surveillance costs than this.) Ok, so those are the costs required to check in on the system because of its level of function. What about the second bucket, the cost of internal failures? That bucket includes all of the costs associated with issues that arise in the system but do not make it to the patient. In this example, it would be the costs attributed to problems with the amount of time a person is in the waiting room that don’t cause the patient any problems. For example, were there any events when one staff member from the waiting room had to walk back to the main ED because the phone didn’t work and so they didn’t know if it was time to send another patient back? Did the software crash and require IT to help repair it? These are problems with the system which may not have made it to the patient and yet did have legitimate costs. The third bucket, often the most visible and high-profile, includes the costs associated with defects that make it to the patient. Did someone with chest pain somehow wind up waiting in the waiting room for too long, and require more care than they would have otherwise? Did someone wait more than the upper spec limit and then the system incurred some cost as a result? Those costs are waste and, of course, are due to external failure of waiting too long. The last bucket, my favorite, is the costs of prevention. As you’ve probably learned before, this is the only portion of the COPQ that generates a positive Return On Investment (ROI) because money spent on prevention usually goes very far toward preventing many more costs downstream. In this example, if the health system spent money on preventing defects (eg some new computer system or process that freed up the ED to get patients out of the waiting room faster) that investment would still count in the COPQ and would be a cost of prevention. Yes, if there were no defects there would be no need to spend money on preventative measures; however, again, that does not mean funds spent on prevention are a bad idea! After all of that time with the four buckets and the P&L, the total COPQ is discovered to be $325,000. Yes, that’s a very typical size for many quality improvement projects in healthcare. Now, to calculate the Healthcare Value Process Index, we take the system’s performance (Cpk of 1.3), multiple it by 100, and divide by 325. We see a Healthcare Value Process Index of 0.4. We carefully remember that the upper spec limit was 120 and came from the VOC who we list when we report it out. The 100 is there to make the results easier to remember. It simply changes the size of the typical answer we get to something that’s easier to remember. We would report this Healthcare Value Process Index as “Healthcare Value Process Index of 0.4 with VOC of 120 min from state regulation” or whomever (whichever VOC) gave us the specification limits to calculate the Cpk. Doing that allows us to compare a Healthcare Value Process Index from institution to institution, or to know when they should NOT be compared. It keeps it apples to apples! Now imagine the same system performing worse: a Cpk of 0.7. It even costs more, with a COPQ of 425,000. 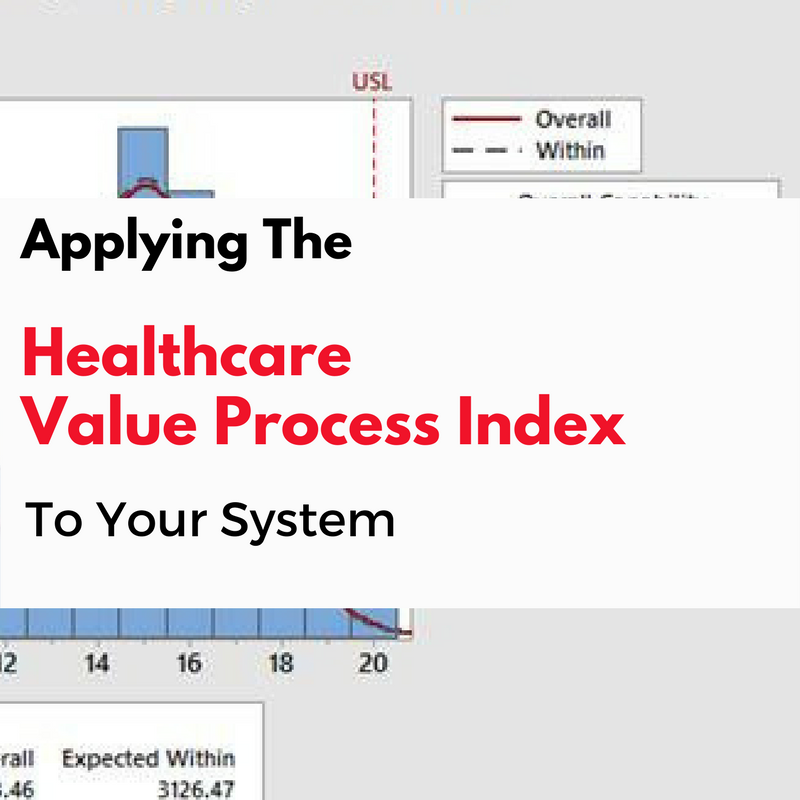 The Healthcare Value Process Index (HVPI)? That’s 0.0165. Easy to see it’s bad! How about a great system for getting patient screening colonoscopies in less that a certain amount of time or age? It performs really well with a Cpk of 1.9 (wow!) and has a COPQ of $200,000. It’s HVPI? That’s 0.95. Much better than those other systems! Perhaps even more useful than comparing systems with the HVPI is tracking the HVPI for a service process. After all, no matter what costs were initially assigned to a service process, watching them change over time with improvements (or worsening of the costs) would likely prove more valuable. If the Cpk improves and costs go down, expect a higher HVPI next time you check the system. At the end of the day, the HVPI is a simple, intuitive, straightforward measure to track value across a spectrum of healthcare services. The HVPI helps clarify when value can (and can not) be compared across services. Calculating the HVPI requires knowledge of system capability measures and clarity in assigning COPQ. Regardless of initial values for a given system and different ways in which costs may be assigned, trending HVPI may be more valuable to track the trend of value for a given system. Questions? Thoughts? Hate the arbitrary 100 constant? Leave your thoughts in the comments and let’s discuss. Posted on December 5, 2016 Author David	No Comments on Warning: Will Your Quality Improvements Really Last? 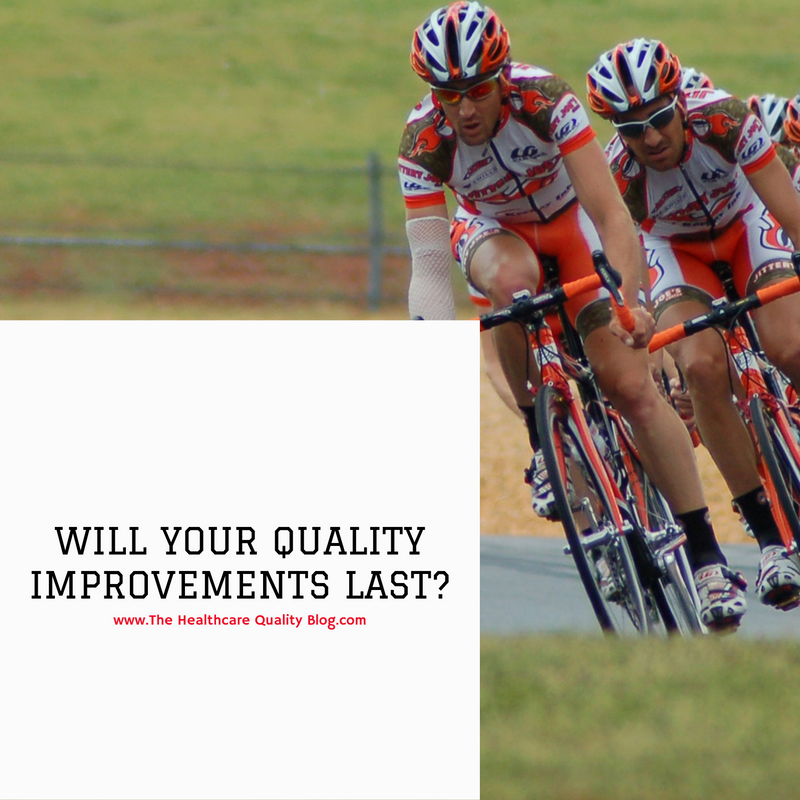 Warning: Will Your Quality Improvements Really Last? OR turnaround time is a classic opportunity for quality improvement in hospitals. The surgeons typically say it takes way too long to clean and prepare the ORs. The materials management and housekeeping staff often add that they’re doing everything they can to go as quickly as possible–without sacrificing their safety or doing a bad job for the patient. Anesthesia colleagues may add that they too are going as fast as possible while completely preparing the rooms and maintaining patient safety. However, the rest of administration will remind the team of an estimated cost of OR time so as to put a face on the costs associated with that downtime when no one is operating in the ORs. I’ve seen these range from as low as $50/minute to as high as $100/min! Here, then, is a classic project that involves many stakeholders, shared OR governance, and an obvious opportunity to decrease what many hospitals consider non-value added time (VAT). I bet it’s a project that your healthcare system has performed before, will perform soon, or is eyeing as a potential for significant quality improvement. Once upon a time, at one hospital, the goal of an important quality improvement project was to reduce that turnaround time in the operating rooms. And wow had it ever worked! 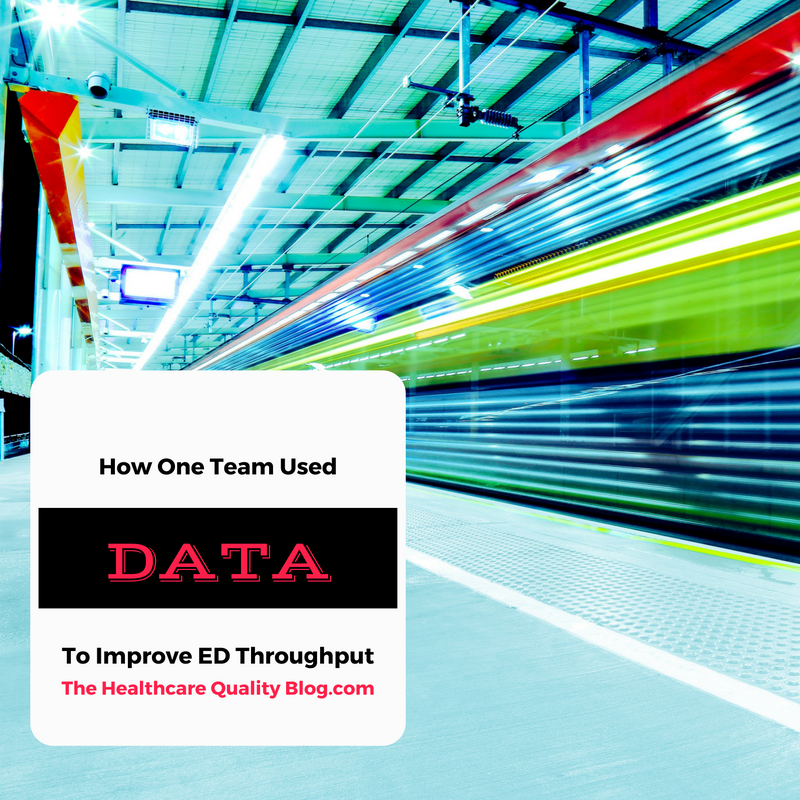 The team had adopted a clear definition of turnaround time, and had used a DMAIC project to significantly decrease that time–it was almost like a NASCAR pit crew in there. It was safe, orchestrated, complete, and really helped the rest of the staff improve OR flow. The time required to turnover a room had also become much more predictable, and this decreased variation in turnover times was also a big help to patient flow and scheduling. The team used several classic tools, including a spaghetti diagram to decrease wasted motion by the “pit crew” team, a kanban inventory system, and a visual control board to notify all of the players in the process (Anesthesia, Surgery, Pre-op Nursing, & the holding room) when the operating room was ready to go. They saved days worth of wasted motion (time spent walking) for the OR prep crew when projected out over a year’s worth of turnovers. The OR staff could complete about one extra case per room per day. Truly amazing. …but only three months later, the turnaround time had crept back up again to where it had been before the changes–a median of 25 minutes per case. Nobody noticed, at first, that the turnaround times were slowing down from great to just pretty good again, until one day the OR got very backed up because a couple of turnarounds took 40 minutes. The Chief Surgeon wasn’t happy and didn’t hesitate to tell anyone she could how she felt. What had kept the gains from being sustained? (You’ve probably seen these culprits before.) It was a combination of factors. Two new people started in the OR; one longtime employee in the facilities-services department had retired. The new people weren’t educated all that well about the turnaround system, and they also didn’t know exactly where everything was yet. But that wasn’t the real problem. In fact, the quality-improvement team hadn’t built a control plan into the system. The first sign they may have had a problem was when the Chief Surgeon fired off an angry e-mail to the rest administration and most of the staff. The signal should’ve come much earlier, when the variation in turnover times increased unexpectedly. That signal could’ve been noticed weeks before. How? The team could’ve used an ImR control chart (more on that here) to notice that the range of times for room turnover had gone out of control. The team could’ve had someone, a process owner like the OR administration, positioned to sound the alarm that the process needed to be solidified when, weeks earlier, several other turnovers took an unexpectedly long time. Fortunately, in this case, the project team recovered. They quickly deployed an ImR chart and also reviewed their data. The Chief Surgeon had been correct: yes, those cases did take an unexpectedly long time when viewed in the context of the OR’s data. A root cause analysis was performed and the quality team quickly realized that several issues lined up to make those times take so much longer. After addressing the issues, the team was back in full swing only a week or two later. The pit crew was back at it, and the NASCAR-like precision had returned. The lesson: creation of a control phase plan to maintain the good work you & the team have done is an essential part of quality improvement projects. Without an excellent control plan, it is very difficult to maintain the improvements you’ve made as a foundation for future improvements. Failure to plan a control phase is, unfortunately, planning to fail. At one hospital where I worked, a problem with admission delays in the emergency department led us far astray when we tried to solve it intuitively. In fact, we made the situation worse. Patients were spending too much time in the emergency room after the decision to admit them was made. There was a lot of consternation about why it took so long and why we were routinely running over the hospital guidelines for admission. We had a lot of case-by-case discussion, trying to pinpoint where the bottleneck was. Finally, we decided to stop discussing and start gathering data. We did a prospective study and had one of the residents walk through the system. The observer watched each step in the system after the team mapped out exactly what the system was. What we discovered was that a twenty-minute computer delay was built into the process for almost every patient that came through the ED. The doctor would get into the computer system and admit the patient, but the software took twenty minutes to tell the patient-transport staff that it was time to wheel the patient upstairs. That was a completely unexpected answer. We had been sitting around in meetings trying to figure out why the admission process took too long. We were saying things like, “This particular doctor didn’t make a decision in a timely fashion.” Sometimes that was actually true, but not always. 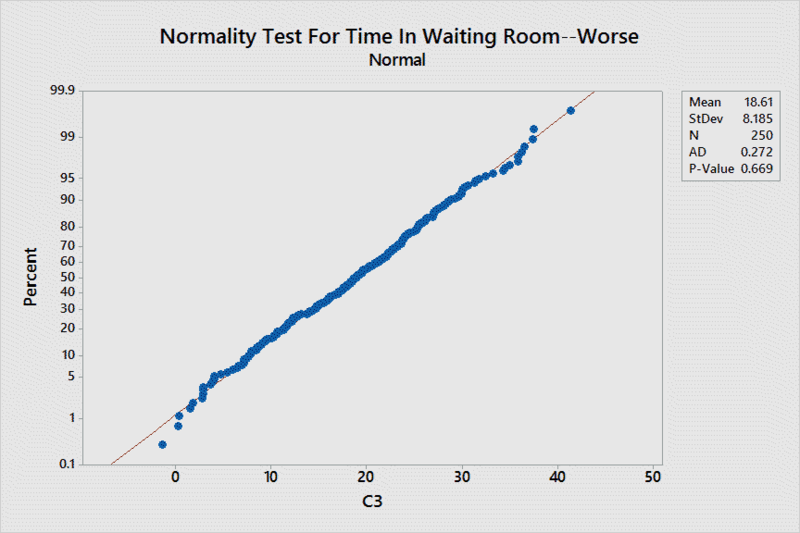 It took using statistical tools and a walk through the process to understand at least one hidden fact that cost almost every patient 20 minutes of waiting time. It’s amazing how much improvement you can see when you let the data (not just your gut) guide process improvement. We went to the information-technology (IT) people and showed them the data. We asked what we could do to help them fix the problem. By taking this approach, instead of blaming them for creating the problem, we turned them into stakeholders. They were able to fix the software issue, and we were able to shave twenty minutes off most patients’ times in the ER. Looking back, we should probably have involved the IT department from the start! Posted on November 8, 2016 Author David	No Comments on How Well Do We Supervise Resident Surgeons? How Well Do We Supervise Resident Surgeons? I was recently part of a team that was trying to decide how well residents in our hospital were supervised. The issue is important, because residency programs are required to have excellent oversight to maintain their certification. Senior physicians are supposed to supervise the residents as the residents care for patients. There are also supposed to be regular meetings with the residents and meaningful oversight during patient care. We had to be able to show accrediting agencies that supervision was happening effectively. Everyone on the team, myself included, felt we really did well with residents in terms of supervision. We would answer their questions, we’d help them out with patients in the middle of the night, we’d do everything we could to guide them in providing safe, excellent patient care. At least we thought we did . . . .
We weren’t exactly lying to ourselves. We were supervising the residents pretty well. We just couldn’t demonstrate it in the ways that mattered, and we were concerned about any perceived lack in the overnight supervision. We were having plenty of medical decision-making conversations with the residents and helping them in all the ways we were supposed to, but we didn’t have a critical way to evaluate our efforts in terms of demonstrating how we were doing or having something tangible to improve. When I say stop lying to ourselves, I mean that we tend to self-delude into thinking that things are OK, even when they’re not. How would we ever know? What changes our ability to think about our performance? Data. When good data tell us, objectively and without question, that something has to change–well, at least we are more likely to agree. Having good data prevents all of us from thinking we’re above average . . . a common misconception. To improve our resident supervision, we first had to agree it needed improvement. To reach that point, we had to collect data prospectively and review it. But before we even thought about data collection, we had to deal with the unspoken issue of protection. We had to make sure all the attending physicians knew they were protected against being blamed, scapegoated, or even fired if the data turned out to show problems. We had to reassure everyone that we weren’t looking for someone to blame. We were looking for ways to make a good system better. There are ways to collect data that are anonymous. The way we chose did not include which attending or resident was involved at each data point. That protection was key (and is very important in quality improvement projects in healthcare) to allowing the project to move ahead. 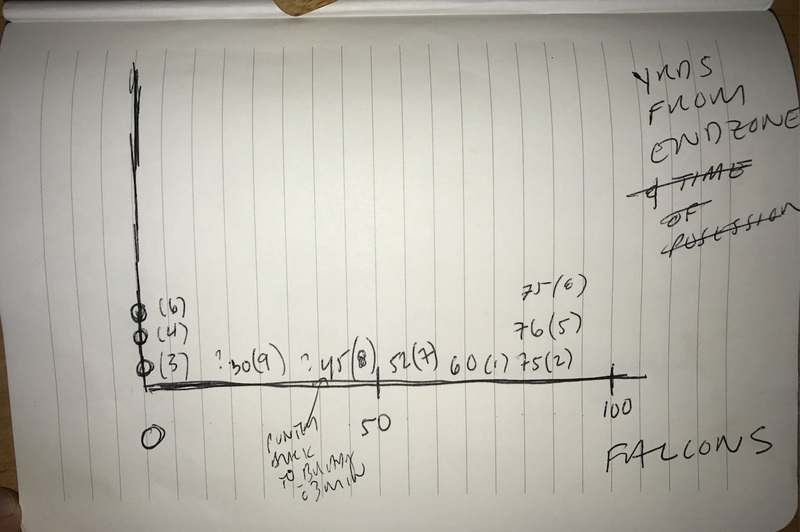 I’ve found that it helps to bring the group to the understanding that, because we are so good, data collection on the process will show us that we’re just fine—maybe even that we are exceptionally good. Usually, once the data are in, that’s not the case. On the rare occasion when the system really is awesome, I help the group to go out of its way to celebrate and to focus on what can be replicated in other areas to get that same level of success. 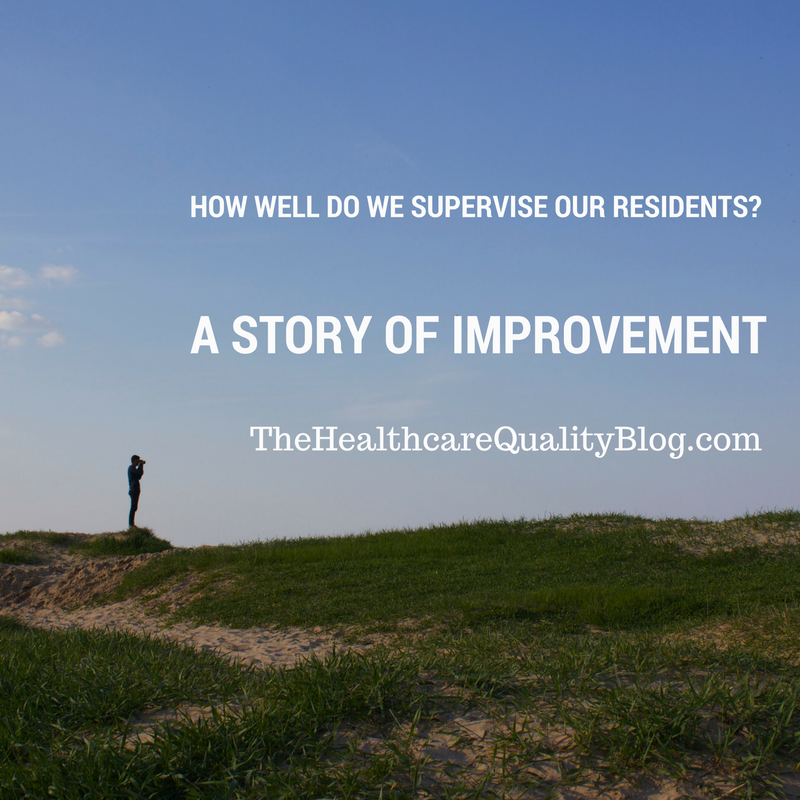 When we collected the data on resident supervision, we asked ourselves the Five Whys. Why do we think we may not be supervising residents well? Why? What tells us that? The documentation’s not very good. Why is the documentation not very good? We can’t tell if it doesn’t reflect what we’re doing or if we don’t have some way to get what we’re doing on the chart. Why don’t we have some way to get it on the chart? Well, because . . . . If you ask yourself the question “why” five times, chances are you’ll get to the root cause of why things are the way they are. It’s a tough series of questions. It requires self-examination. You have to be very honest and direct with yourself and your colleagues. You also have to know some of the different ways that things can be—you have to apply your experience and get ideas from others to see what is not going on in your system. Some sacred cows may lose their lives in the process. Other times you run up against something missing from a system (absence) rather than presence of something like a sacred cow. What protections are not there? As the saying goes, if your eyes haven’t seen it, your mind can’t know it. As we asked ourselves the Five Whys, we asked why we felt we were doing a good job but an outsider wouldn’t be able to tell. We decided that the only way an outsider could ever know that we were supervising well was to make sure supervision was thoroughly documented in the patient charts. The next step was to collect data on our documentation to see how good it was. We decided to rate it on a scale of one to five. One was terrible: no sign of any documentation of decision-making or senior physician support in the chart. Five was great: we can really see that what we said was happening, happened. We focused on why the decision-making process wasn’t getting documented in the charts. There were lots of reasons: Because it’s midnight. Because we’re not near a computer. Because we were called away to another patient. Because the computers were down. Because the decision was complicated and it was difficult to record it accurately. 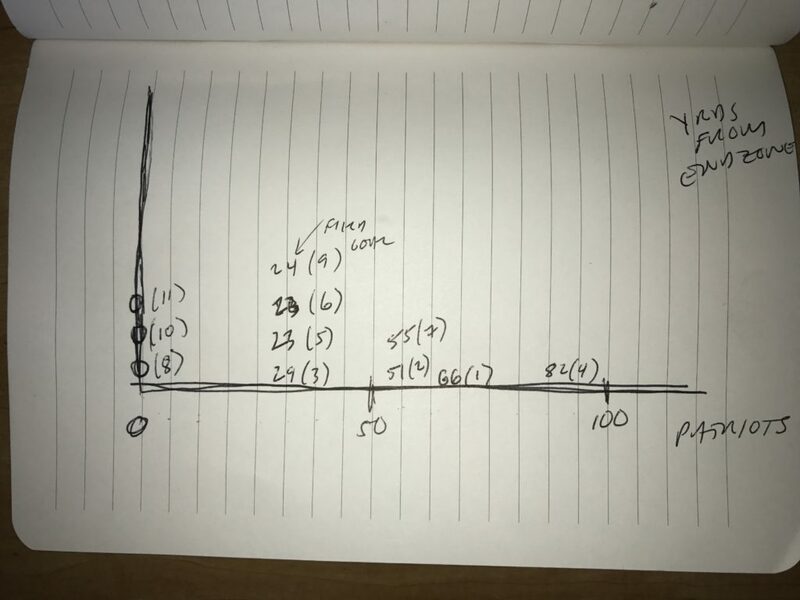 We developed a system for scoring the charts that I felt was pretty objective. The data were gathered prospectively; names were scrubbed, because we didn’t care which surgeon it was and we didn’t want to bias the scoring. To validate the scoring, we used a Gage Reproducibility and Reliability test, which (among other things) helps determine how much variability in the measurement system is caused by differences between operators. We chose thirty charts at random and had three doctors check them and give them a grade with the new system. Each doctor was blinded to the chart they rated (as much as you could be) and rated each chart three times. We found that most charts were graded at 2 or 2.5. Once we were satisfied that the scoring system was valid, we applied it prospectively and scored a sample of charts according to the sample size calculation we had performed. Reading the chart to see if it documented supervision correctly only took about a second. We found, again, our score was about 2.5. That was little dismaying, because it showed we weren’t doing as well as we thought, although we weren’t doing terribly, either. Then we came up with interventions that we thought would improve the score. We made poka-yoke changes—changes that made it easier to do the right thing without having to think about it. In this case, the poka-yoke answer was to make it easier to document resident oversight and demonstrate compliance with Physicians At Teaching Hospitals (PATH) rules; the changes made it harder to avoid documenting actions. By making success easier, we saw the scores rise to 5 and stay there. We added standard language and made it easy to access in the electronic medical record. We educated the staff. We demonstrated how, and why, it was easier to do the right thing and use the tool instead of skipping the documentation and getting all the work that resulted when the documentation was not present. Want to read more about how the team used the tools of statistical process control to vastly improve resident oversight? Read more about it in the Amazon best-seller: Volume To Value here. Have you ever wondered how to work with non-normal data sets? Data that are not normally distributed can prevent special problems, and this podcast helps explain how to deal with that special situation in healthcare quality improvement. Audio podcast version here or click the icon above. Video podcast version here.